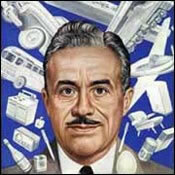 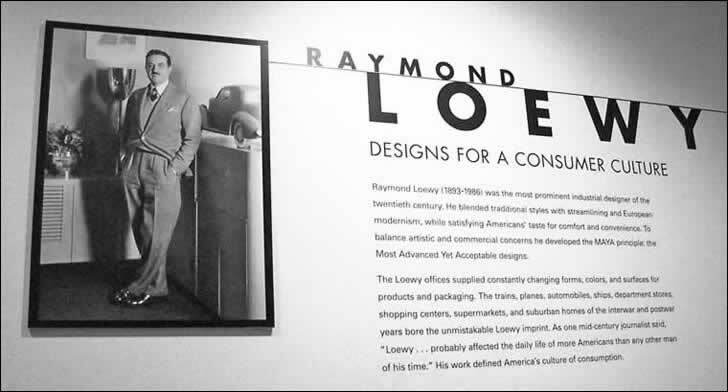 Loewy appeared on the cover of Time Magazine in 1949. 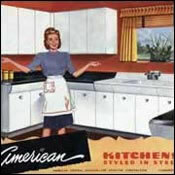 Aviation Corporation metal units for a postwar kitchen. 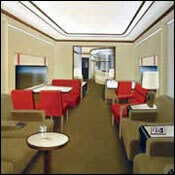 1947 Bar Lounge Car for the Pennsylvania Railroad. 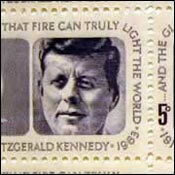 Loewy designed the Kennedy memorial stamp.